I wanted to fix the mis-cross without having to frog 4 entire rows to get to that one mistake. The arrow points to where the crime was committed. 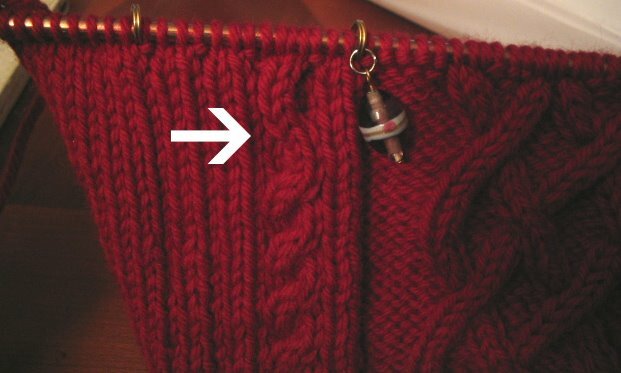 This four stitch cable was supposed to cross to the right and not the left. Remove the cable stitches from the needle and unravel to the row where the mistake occurred (arrow). 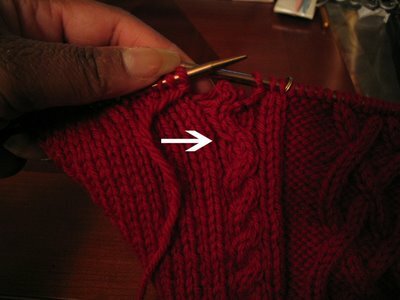 "De-twist" the stitches and transfer them to a double pointed needle (dpn). I used the same size dpn as the one I was using (It may be easier for you to use one slightly smaller). Now cross the stitches CORRECTLY. 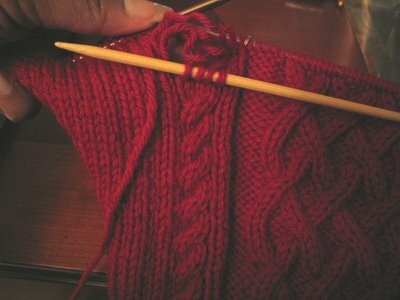 Slip those stitches to a crochet hook that is slightly smaller than the diameter of your needles to help knit the stitches again. In essence, you're just repairing the dropped stitches. A lot of people simply use dpns to knit the dropped stitches, but I find it difficult to deal with the short strand of yarn without the use of a crochet hook. Find the lowest strand of yarn created from the ripped stitches. *Re-knit the 1st stitch on the left by pulling yarn from the lowest strand through with the crochet hook, just as if you were correcting a dropped stitch. 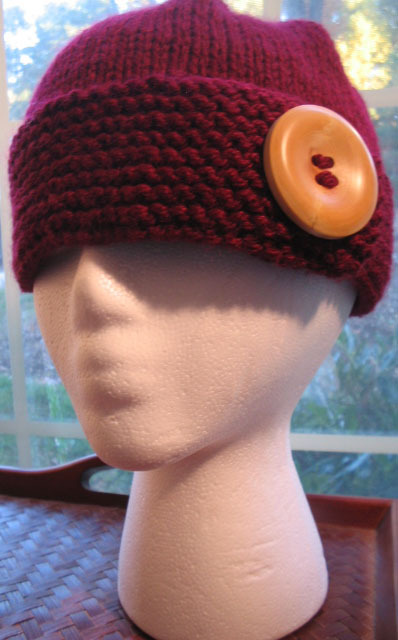 Slip that stitch onto your dpn. Repeat with the remaining 3 stitches, slipping them onto the dpn as they're completed. 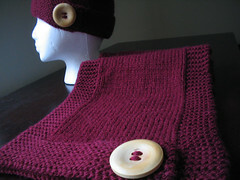 (The photo below shows two completed stitches that have been placed back onto the dpn and two remaining stitches on the crochet hook). 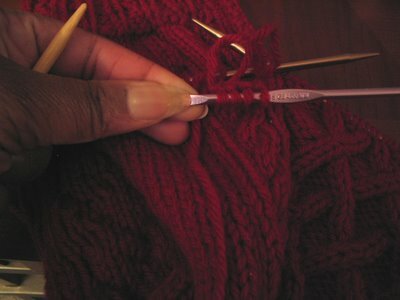 Slip the four stitches back to the crochet hook and repeat from * with the remaining strands until you're done.